Because Sumba is a rather dry and infertile island, located away from the ports of call of the spice trade, it was comparatively insulated from the Hindu, Muslim, and later Dutch influences, each of which helped to shape the character of Indonesia’s cultures. 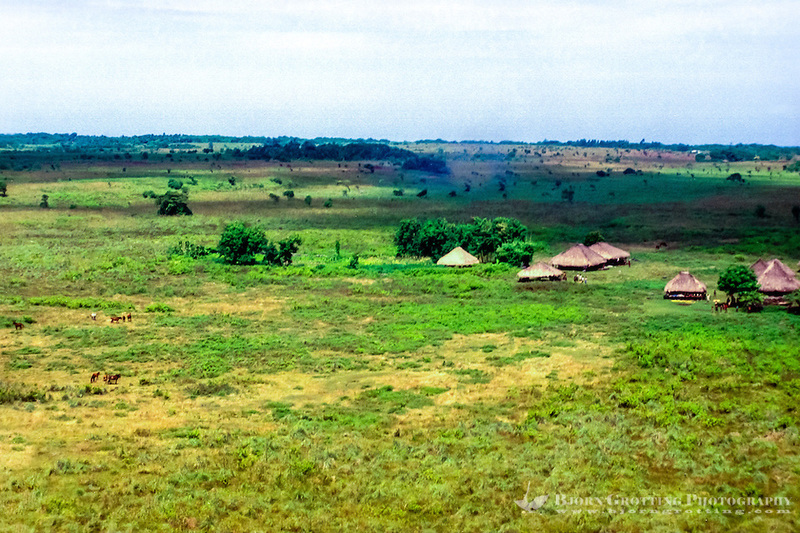 In the eighteenth and nineteenth centuries, when Sumba was periodically raided for slaves by Muslim traders, the local inhabitants responded by building and living in fortified hilltop villages. Patrilineages, which structured these groups, became powerful units of politically motivated marriage alliances in which women were the currency of exchange. Each lineage was headed by a self-appointed raja, or “big man,” who, in return for loyalty, cattle, women, and children, offered protection and guarded the sanctity of tradition. The Weyewa system of production and exchange began to undergo major shifts in the 1970s, which resulted in a gradual weakening of the authority of lineages. One event that illustrates this process was the construction of an irrigation system and hydroelectric dam at the site of a sacred gushing spring at Waikelo in central-west Sumba in the mid-1960s. Throughout much of the 1960s, this spring watered some 300 hectares of rice fields, whose cycles of cultivation and fallowing were regulated by certain lineage elders carrying out the “words” of the ancestors. By the early 1970s, more than 1,500 hectares were available for continuous irrigation. Not only were traditional leaders unprepared to oversee and control this increase in the scale of production, but government officials took the initiative by encouraging farmers to abandon the ritual schedule of planting and harvest and to plant new high-yield, hardy, and fast-growing varieties of rice. These new varieties permitted two or more plantings per year. According to oral accounts of witnesses, the ownership of the new and ambiguous categories of land that emerged from irrigation was often assigned to individuals, not lineages. When disputes arose, government officials, such as police officers, judges, or district heads, rather than the raja, increasingly mediated the disputes and enforced the settlements. As a result, when asked to participate younger farmers were increasingly reluctant to invest in largescale and expensive ritual feasts honoring the spirits, because the government had more control over their lives than did the spirits. Meanwhile, government officials put increasing pressure on traditional leaders to give up ritual feasting practices as “wasteful” and “backward.” Furthermore, as with the Kaharingan adherents of central Kalimantan, failure to affiliate with an approved religion was regarded as potentially treasonous. Unlike Toraja and the peoples of central Kalimantan, however, the Weyewa and other Sumbanese were not politically organized for the preservation of their native religion. Most people simply converted to Christianity as a symbolic gesture of participation in the nation state. Indeed, whole villages in the late 1980s and early 1990s conducted feasts in which residents settled their debts with ancestral spirits and became Christians. The number of Weyewa professing affiliation with the Christian religion (either Roman Catholic or Calvinist Protestant) jumped from approximately 20 percent in 1978 to more than 60 percent in 1990.